Three Sisters Of Glencoe - A painting & prints of Glencoe in The Scottish Highlands. Blood Moon Over The Three Sisters Of Glencoe, Scottish Highlands. 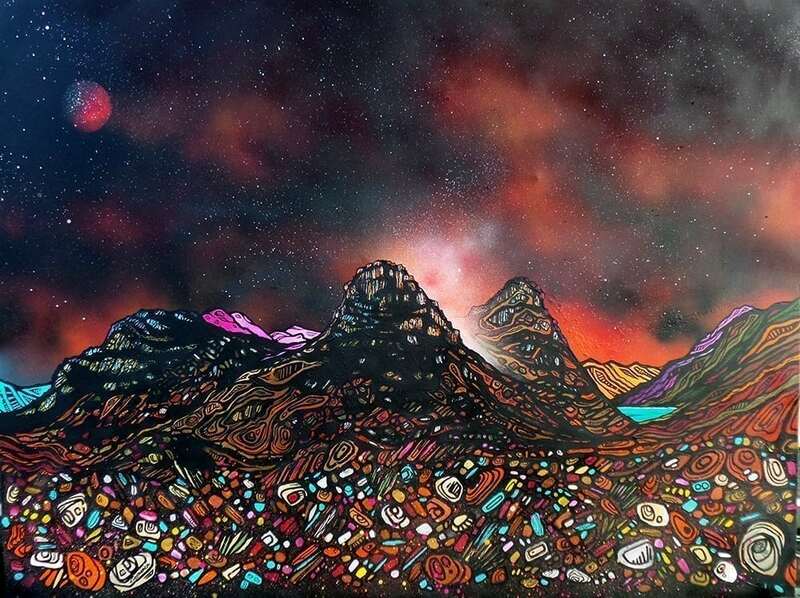 A Scottish landscape painting & prints by Andy Peutherer. Blood Moon Over The Three Sisters Of Glencoe, Scottish Highlands. An Scottish landscape painting & prints. An original abstract, atmospheric landscape painting of a blood moon over The Three Sisters of Glencoe in The Scottish Highlands. A mix of mediums are blended, layered, sprayed, scraped and splattered over the canvas to produce a very unique & atmospheric painting that depicts the ever changing weather, shadow & light that sweeps across the Glencoe area.